The importance of "eating your greens" might be a no-brainer, but have you considered the importance of eating your reds, yellows, purples, and whites too? Eating a rainbow of plant-based foods is critical to ensuring you're getting the vitamins and minerals you need for optimal health. How does eating the rainbow support optimal health? Including a diverse range of plant-based wholefoods in your diet is critical to supporting a healthy gut, and our gut health plays a central role in influencing our overall health and wellbeing. For optimal health, we need to be eating a colourful range of fruits, vegetables, nuts, seeds, legumes, and wholegrains to support a varied nutrient intake. Dr Megan Rossi, a renowned gut health researcher and registered dietician, recommends aiming for at least 20 to 30 varieties of plant-based foods each week. According to Dr Rossi, eating a variety of colours is critical because each colour group contains different nutrients that the gut thrives on - which is why we make sure you get served up every colour of the rainbow, in every Craft Smoothie box! To help you achieve a healthier gut, our Superfood Smoothie Boxes include over 30 different varieties of fresh fruit, vegetables, and organic superfoods so you don't have to worry about meal planning and ticking off all the colours of the rainbow. The colour of fruits and vegetables is influenced by specific phytonutrients, which are natural chemicals that help protect plants from external threats, and each colour indicates an abundance of specific nutrients. Let’s take a look at what the colour of your food can tell you about its nutrition, and how you can eat a more colorful range of phytonutrients to help your gut (and body) to function at its best. Why are red foods healthy? Red apples contain quercetin, a compound that has been linked to fighting colds, the flu, and allergies - as they say, an apple a day keeps the doctor away! Red capsicum has over 10 times more beta-carotene and 1.5 times more vitamin C than green capsicum! Don’t forget to eat the skins of red fruit and vegetables so you don’t miss any of their nutrients or cancer-fighting phytochemicals! What healthy red foods can you expect in a Craft Smoothie box? What other healthy red foods can you to add to your diet? What are some easy ways to eat more red foods? Make a Mexican salad by combining diced red onion, red capsicum, and red chili with black beans, corn, avocado, and coriander - and there's a rainbow meal right there! Why are green foods healthy? What healthy green foods can you expect in a Craft Smoothie box? What other healthy green foods can you to add to your diet? What are some easy ways to eat more green foods? Why are purple foods healthy? 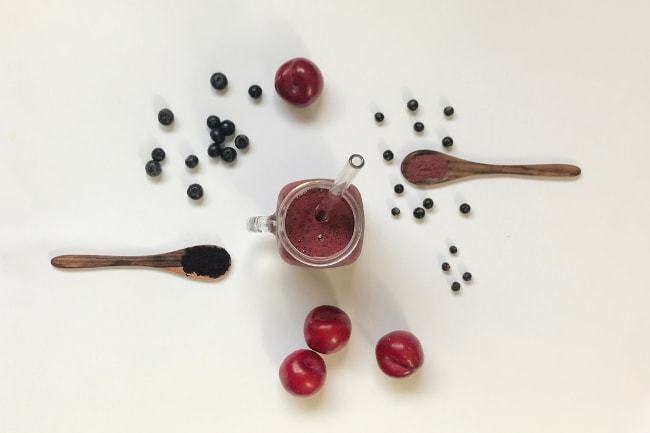 What healthy purple foods can you expect in a Craft Smoothie box? What other healthy purple foods can you to add to your diet? What are some easy ways to eat more purple foods? Why are orange and yellow foods healthy? 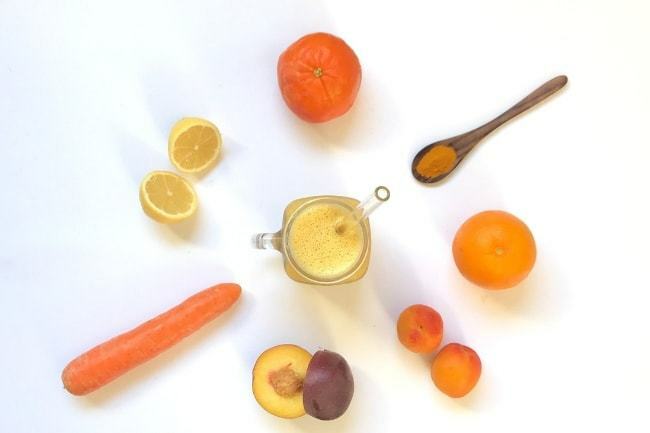 What healthy orange and yellow foods can you expect in a Craft Smoothie box? What other healthy orange and yellow foods can you to add to your diet? What are some easy ways to eat more orange and yellow foods? 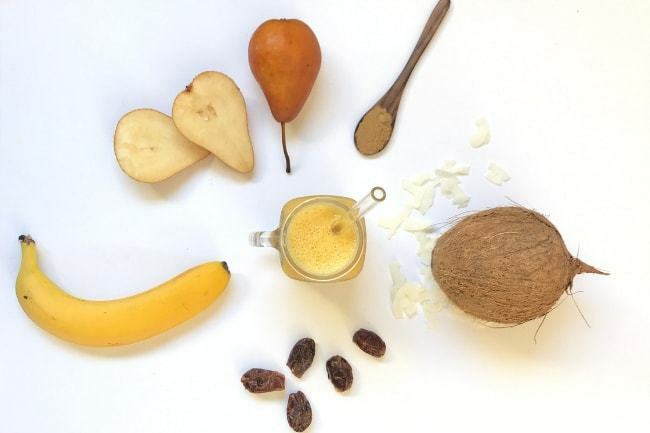 You can make some incredibly delicious superfood smoothies using a combination of yellow and orange foods - we love combining mango, carrot, and orange with a superfood blend of turmeric, goji berries, coconut and nuts or seeds. We love our turmeric lattes around here and the good news is that they’re super easy to make at home - see our fail-proof turmeric latte recipe here. You can’t beat a trusty pumpkin soup in winter and it tastes even better when you make way for a few other orange veggies - carrot and kumara. Why are white and brown foods healthy? What white and brown foods can you expect in a Craft Smoothie box? What other healthy white and brown foods can you to add to your diet? What are some easy ways to eat more white and brown foods? If you want to try adding more colours and plant-based foods to your diet, give Craft Smoothie a try and we'll deliver everything you need to benefit from a diet rich in every colour of the rainbow!